Feel Free to Contact Us! 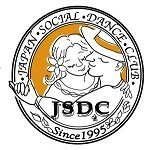 - Japan Social Dance Club (JSDC) is a professional dance studio specializing in American Style Social Dance. Located in the heart of Tokyo, near Scramble Crossing, Japan Social Dance Club (JSDC) offers you the best instruction from the finest instructors. Our staff and instructors will make you feel at home in the friendly atmosphere of our studio. We look forward to meeting you all very soon. Studio is locatd in Shibuya, Tokyo, Japan. For assistance in English, please contact us by email, or ask for Yoshi when you call. Thank you! !